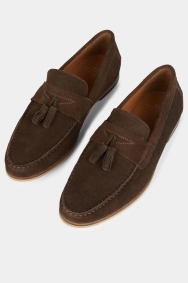 Inspired by shoes worn by Norwegian fishermen, loafers offer a more relaxed take on smart shoes. 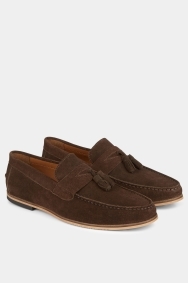 These ones by Moss London mirror classic style with their brown suede-look material and tassels. 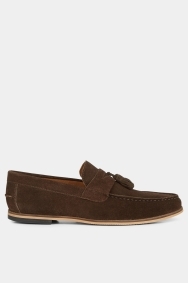 Wear them with chinos or smart trousers that cut in just above the ankle. They’ll also go with smart shorts.